A detailed commentary in the following languages is available: Hungarian, Polish, Dutch, Portuguese, Greek, Swedish, Chinese, Russian, English, Danish, French, German, Italian, Japanese, Maltese, Spanish. The bus comes at a frequency of 30 minutes. 1. Sliema Sliema is Malta’s main coastal resort. It is a centre for shopping, restaurants and cafe life. Sliema is also a major commercial and residential area and houses several of Malta’s most recent hotels. The coastline promenade, which runs for several kilometres from St. Julian’s to Gzira & Ta’ Xbiex, is ideal for walkers and joggers. 2. Manoel Island (passing) A small island fortified by Grandmaster Manoel de Vilhena, who also built the theatre in Valletta. The architect of this project was Frenchman Francoise de Mondion, who was also the architect of Louis XIV. The island is now being conserved and converted into an exclusive residential area. 3. Ta’Xbiex Harbour (passing) The area is studded with beautiful villas many of which have now been transformed into embassies. 4. Msida Yacht Marina (passing) A magnificent yacht marina with first class berthing facilities. 5. 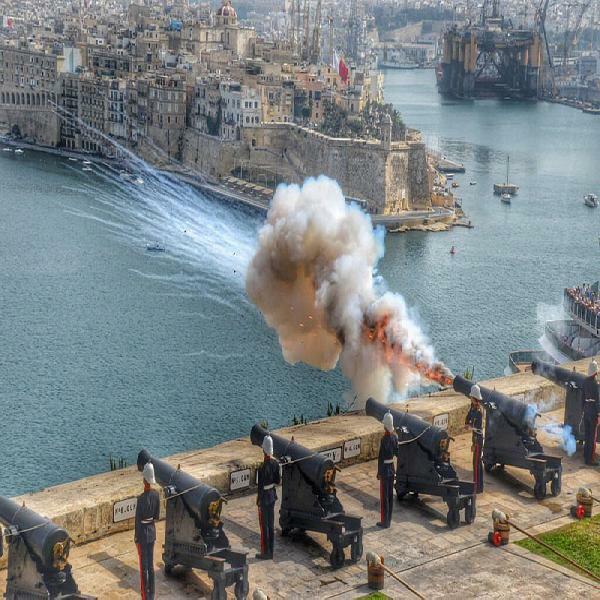 Valletta City Gate is outside Malta’s capital city which was built by the Knights of the Order of St. John in 1568 and transformed over the years into the finest example of baroque. 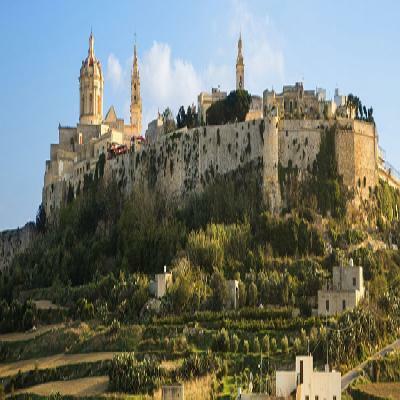 The City is studded with historical palaces, museums, churches, gardens, cafes, restaurants and shops. 7. San Anton Garden Probably the best known of the island’s gardens. San Anton Garden was laid out by Grandmaster Antoine de Paule (1623-1636) as grounds for his summer residence. The garden is a botanical delight with mature trees, old stone urns, fontanels, ponds and formal flower beds. 8. Ta Qali Crafts Village & Aviation Museum The former World War II military aerodrome was converted into a hand-crafts centre. Here one can buy something completely unique to take home. Beyond the Crafts Village is the Aviation Museum displaying aircrafts. The Museum (open daily from 0900 – 1700 except Good Friday, Easter Sunday, 15th August, Christmas Day & New Year’s Day) is situated in a former RAF station and among the artefacts are a rebuilt Spitfire Mk IX and a Hawker Hurricane lla. 9. 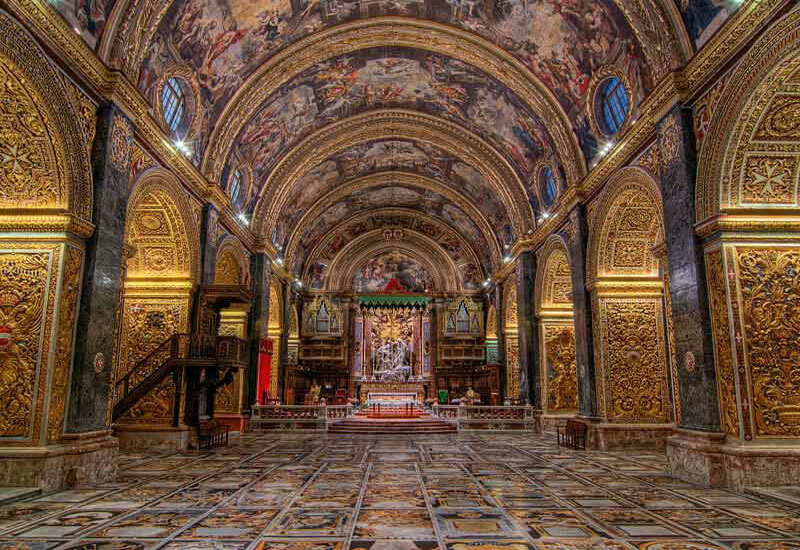 Mosta Mosta lies at the heart of Malta. It is a busy market town. At its centre is a magnificent domed church (completed in 1860). 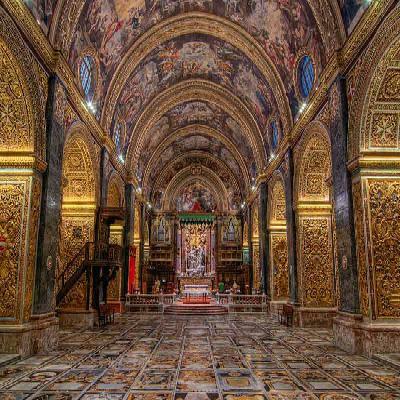 The Mosta Rotunda (closed from 1200hrs to 1500hrs) is the third largest unsupported church dome in Europe. In World War II, the church took a direct hit from a German bomb that pierced the dome, but failed to explode. Other Mosta attractions include the Victoria Lines, the World War II shelters, the cave chapel of St. Paul the Hermit in a picturesque valley and the Chapel of Our Lady of Hope. In its limits there are also prehistoric remains such as catacombs under Fort Mosta and Bronze Age dolmens. 10. Mdina Mdina is the old capital of Malta and its origins may be traced back to 1500BC. 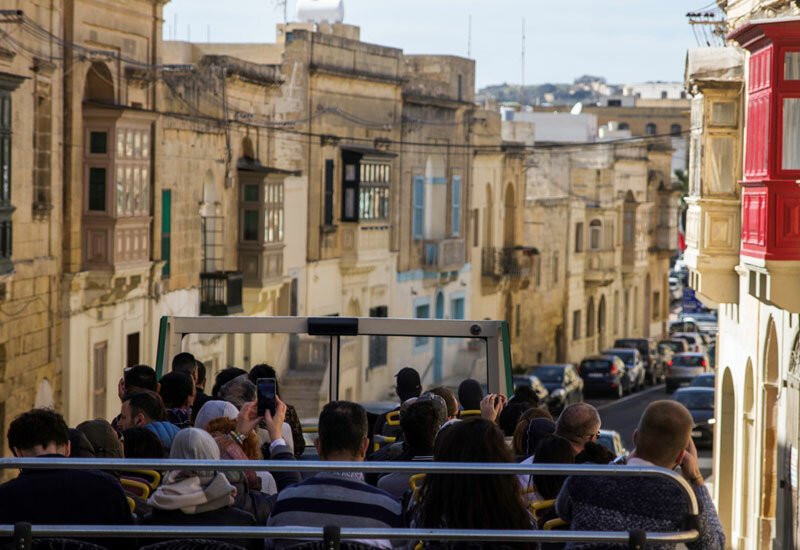 Mdina has had different names and titles depending on its rulers and its role but its medieval name describes it best – “Citta’ Nobile”: the noble city. Impressive palaces line its narrow, shady streets. Mdina is one of Europe’s finest examples of an ancient walled city and extraordinary in its mix of Medieval and Baroque architecture. 11. Rabat & the Domus Romana Rabat played a major role in Malta’s history. The large provincial township was part of the Roman city of Melita. The town is a commercial centre and acts as a market for its large agricultural hinterland. It is also well established on the tourist map due to its archaeological and historical sites: The Domus Romana Museum (opened daily from 0900 to 1700 except on public holidays), Catacombs, St. Paul’s Grotto and the fine churches and monasteries. 13. Mgarr Mgarr is a typical rural village. It is surrounded by rich farmland. The area is ideal for country walks with several picturesque spots – Bingemma, Wardija, Fomm ir-Rih and Gnejna Bay. Mgarr’s parish church dedicated to St. Mary was built in 1912. Mgarr is also home to two of Malta’s oldest prehistoric sites; Ta’ Hagrat (opening Tuesdays from 0930 to 1100) and Skorba (opening Tuesdays from 1130 to 1300). On the way to Golden Bay you will pass the Roman Baths. This heritage site is temporarily closed. 14. Golden Bay One of the island’s beautiful sandy beaches. Together with its adjoining beach, Ghajn Tuffieha, it is unspoilt and secluded. Well worth a visit and if the weather is fine, a great bathing spot. 15. St. Paul’s Bay This is the quaint location of the original Fishing harbour known as “Il- Menqa” flanked to the left by Wignacourt Tower built by the Grandmaster (1601-1622) the oldest standing watchtower of the period the Knights of St. John and to the right by St. Paul’s shipwreck Chapel revered as the spot where the locals lit a fire to warm and welcome St. Paul on his unforeseen arrival on the island. Magnificent views and photo opportunities. 16. Bugibba Square Bugibba and its neighbours Qawra & St. Paul’s Bay are Malta’s largest seaside resort towns. The coastline has been developed into a distinct resort with hotels and numerous holiday apartments. The water on both verges of the bay is not deep and is ideal for swimming off the rocks. The bay is popular throughout the summer. Choose the stop closest to your resort. 21. St. Julian’s is now a major residential and tourist centre and home to some of Malta’s newest hotels. St. Julian’s merges with Paceville, Malta’s main nightlife centre with clubs, casinos, restaurants, cafes & bars. 23. Balluta Bay A small bay between St. Julian’s and Sliema. Its shores are full of cafes, kiosks and restaurants. The skyline is dominated by the Carmelite Church and the Victorian Balluta Builing.